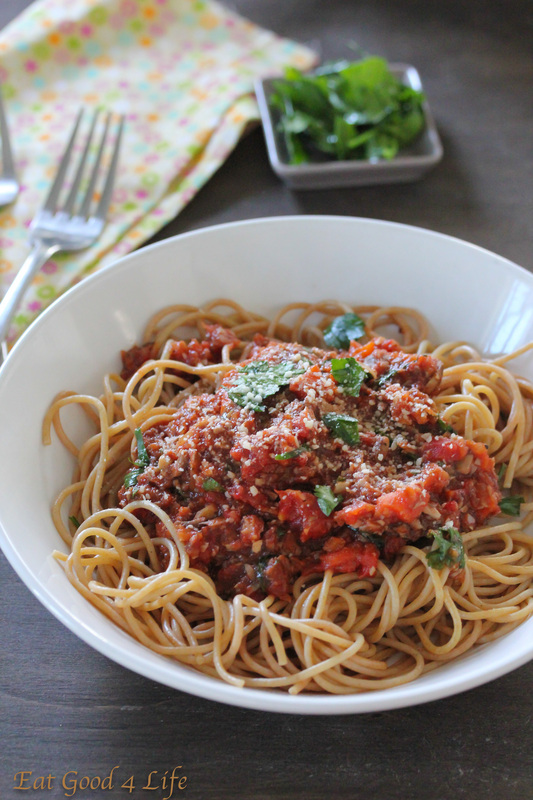 Have you ever had vegetable ragu with pasta? I was actually planning on making traditional beef ragu but I changed my mind last minute and made this vegetable ragu version instead. 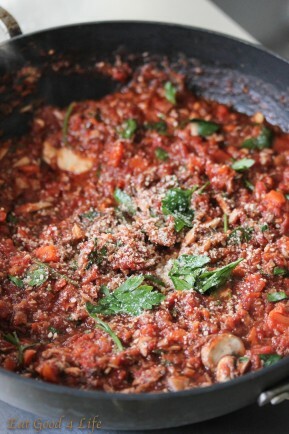 I have enjoyed beef ragu before and while that is great I thought this one was awesome. I am a veggie person and I rely on vegetables much more than I do on meat and poultry. After all, I was a lacto-ovo-vegetarion for over 18 years. I do eat eat meat and poultry on occasion. Meat no so much, but chicken perhaps once or twice a month and it must be organic and cooked by me! After making this vegetable ragu with pasta it came to mind that I should have doubled the sauce. It would have been perfect to freeze the leftovers and keep for subsequent meals. This sauce would freeze great so next time I make it I will sure make extra. I need to start getting my freezer stocked up with nutritious meals because come next week my schedule is going to be crazy for the next few months. This vegetable ragu has become one of my favorite pasta sauces. 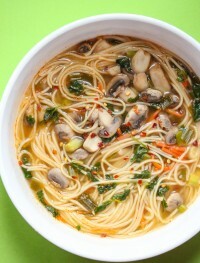 It is a chunky and meaty, which comes from the mushrooms, and aromatic at the same time. This sauce is very different from others I have made so far. I think next time I might add a little bit of cumin to the mix and see how it tastes. Also, if you like, you can add some pepper flakes for some heat. I hope you like this vegetable ragu with Pasta. 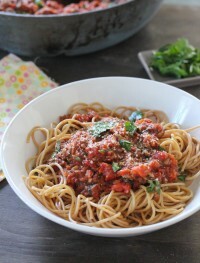 We sure did and I know I am going to be making this vegetarian ragu for time to come. Hopefully next time I will remember to double the sauce so that I can freeze some. 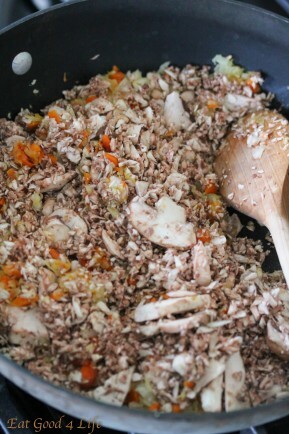 Here you can see how the mixture looks right at the beginning of cooking the veggies. Cook the onions and carrots for about 5 minutes until they have soften a little bit and add the garlic. Cook for one minute and follow by the mushrooms and spices. Here you can see how the mushrooms have reduced. 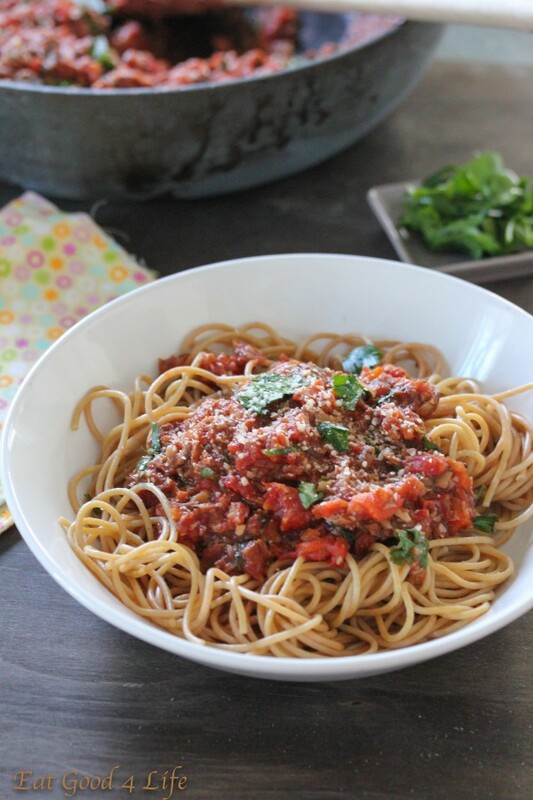 After they have done so, add the tomato paste, crushed tomatoes, parsley and parmesan and cook for about 8-10 minutes over medium heat to mix in the flavors. 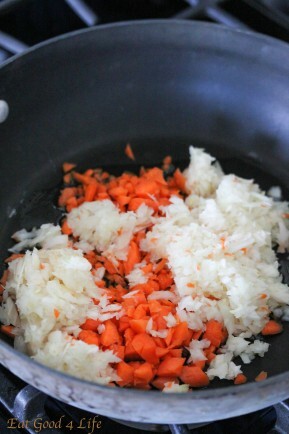 Place the carrot chunks into your food processor and pulse until minced but not puree. Do the same with the onions and mushrooms. Alternately you can chopped by hand. Using the food processor saves tons of time though. In a large 12 inch skillet, over medium to high heat, heat the extra virgin olive oil. 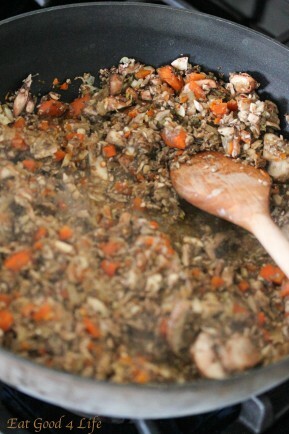 Add the onions and carrots and cook for 3-5 minutes. Add the garlic and cook for 1 minute until fragrant. Add the mushrooms, spices and salt and cook for 5 minutes until they have reduced. Add the tomato paste, crushed tomatoes and half the parley and cook over medium to low heat for 5-10 minutes. Turn the heat off and add the remaining parsley and parmesan cheese. Serve over the pasta with some extra cheese if you like. Pasta is one of my favorites too. Your dish looks amazing! 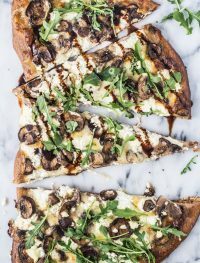 Love your shortcut of using the salad dressing for extra flavor! 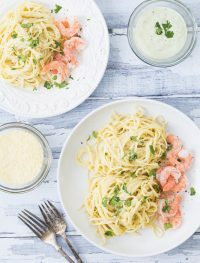 My husband and I love shrimp pasta! 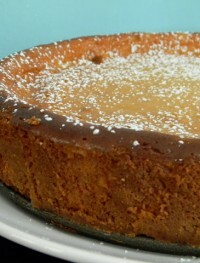 This one looks delicious! Yum! This looks like my kind of meal…perfect for lunch or dinner! I love shrimp pasta! 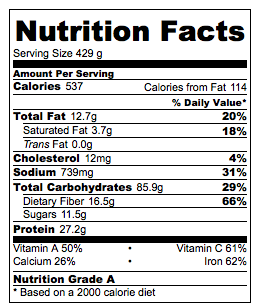 The avocado addition sounds amazing! I would love to try that! Love the idea of using salad dressing for pasta sauce! So good! That sounds wonderful and even better that it’s so quick and simple!